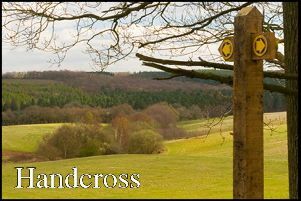 The next group: to meet is Handcross Ladies Association who meet on Tuesday evening from 7.30 pm back in the Parish Hall for this meeting. I’m sure they are all looking forward to seeing what the Hall is like now it has been decorated and the heating updated. The activity that members will be trying this month is felt making. If you would like to go along to see how these meetings are run, I’m sure you would be made very welcome. Membership is just £20 for the year which seems to me to be very good value for all that they do during the course of the year. If you would like more information before going along, get in touch with the committee by email handxladies@gmail.com. On Wednesday the Rosemary Club: will be holding their Annual General Meeting, starting with a Fish & Chip lunch at 1pm ahead of the meeting proper at 2.30 pm, in the Parish Hall. If you need a lift to get to the Hall, please get in touch with Alison on 07773 602394 and she will be able to get you on the Community Bus which is very kindly made available to the Club for their members. As I have said before, this group is open to everyone, male and female, of all ages and is a very good way to make friends if you are new to the village. If you would like more information about it, get in touch with Helen Arnold on 07540 816170. If you have time on your hands but are not necessarily interested in joining but would like to give something back, I know they are looking for one or two people to help set up and pack away the Hall for their meetings; if this is of interest, get in touch with Helen. Ahead of these last two meetings: is the Outing Club’s Lunch on Saturday in the Parish Hall. I’m sure you don’t need me to remind you that the timing is 12.30 pm for 1 pm and if you would like to enjoy a glass of wine with your meal, feel free to take along a bottle of your favourite tipple but don’t forget to take a cork screw if necessary! Finally: I know that the Parish Hall Committee is planning on a small ‘do’ in the Parish Hall early next month to show off the work that has been completed and to get feedback from those who will have used it over the coming weeks. I will let you have the full details shortly but hope that many of you will be there and hopefully will have positive things to report!